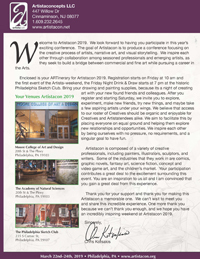 Get a copy of the Artistacon ARTinerary here! Click the button below to download the PDF. Download a copy of the Artistasalon’s Exhibitors Rules & Agreements here. Download a copy of the Attendee Welcome Pact, includes blank ARTinerary.